Meet BUKU aka the ancient treasure Burmese Kush! A short but phat plant with a flowering time of only 7 1/2 weeks, making it one of the fastest T.H. Seeds strains! 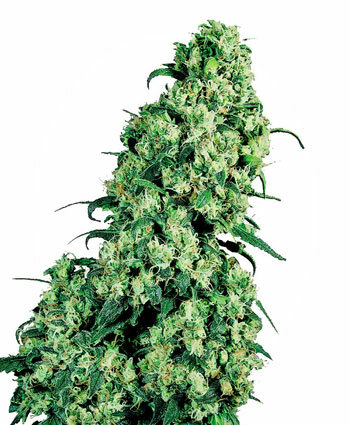 Burmese Kush Female Marijuana Seeds by T.H.Seeds one of the oldest seed companies in Holland, established in 1993 THSeeds has established itself as a premier cannabis seeds supplier. Using only the finest marijuana genetics THSeeds Seedbank has won numerous High Times Cannabis Cups across all categories. This is testament to the superior weed or pot seeds you will get from THSeeds of Amsterdam. To create this mean machine, we?ve crossed the authentic Burmese Kush with the O.G. Kush from L.A. which is without a doubt the hottest thing being passed around in Cali right now. BUKU has the great Kush flavor & high which all growers could wish for. This for sure will become one of your garden & stash favorites. Keep that Kushline expanding!